To combat mosquitos, the Highway Department will be misting the Town for mosquitos beginning at 7:00 PM on June 14 and every Thursday thru August. Misting will be completed around 1:00 AM. The insecticide we use is WDOT non-hazardous rated and no special pre-cautions are needed. Rain date would be Friday. 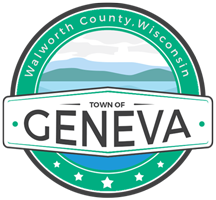 Any questions may be directed to the Town of Geneva Highway Department (262) 248-2135.